From our experience supporting hundreds of frontline services to use the Star, we know that how services help people matters. 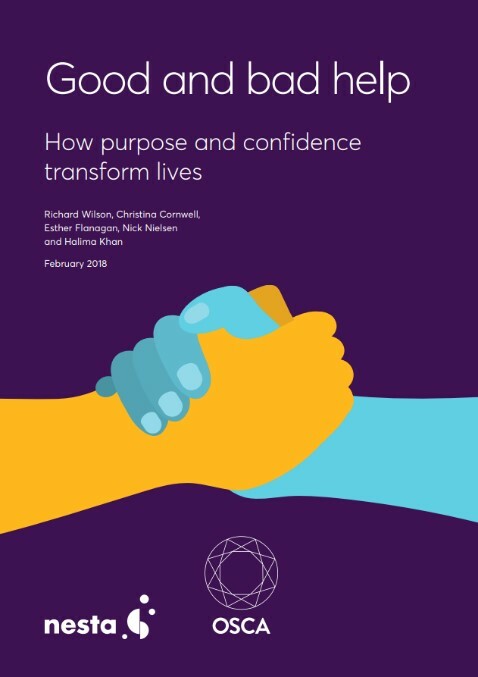 The report harvests the best of current practice in behaviour change programmes alongside a description of the historical development of behaviour change, from Maslow’s hierarchy of needs and Badura’s work on self-efficacy to motivational interviewing and Susan Michie’s contemporary COB-B model. We very much welcome the Good Help report and project, and believe that the powerful concept of ‘good help’ could help to focus a cross-sectoral movement for change which recognises that the most important ingredient in the change recipe is the goals, capabilities and motivation of service user themselves. 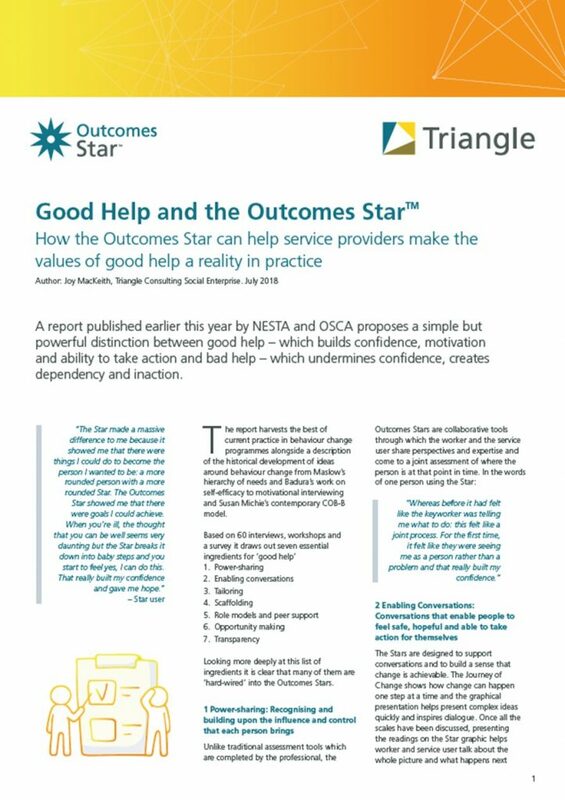 We would like to add our voice to the Good Help movement and hope that the Outcomes Stars can be part of the toolkit that enables organisations to make that vision a reality. To join the mailing list for the latest news about the Good Help project from OSCA and NESTA, sign up here.